With the Bellissima Solid Jersey you'll be feeling good and keeping cool. For SheBeest's top-selling Bellissima Jersey, you'll stay cool on hot summer rides while deliver the same great comfort you'd expect from jersey's twice the price. The BellaWic™ fabric wicks moisture to help regulate temperature and feels soft against the skin. The relaxed fit of the Bellissima also promotes air to circulate within the jersey for additional cooling. 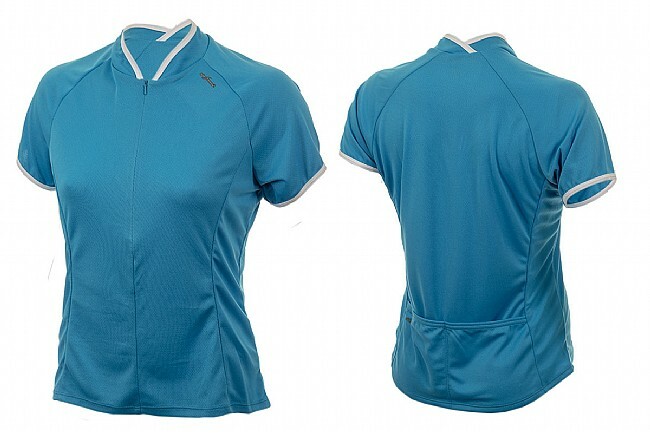 The Women's Bellissima Solid Jersey is available in various colors with a relaxed fit.